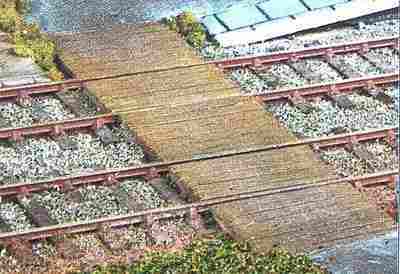 Most stations had at least one of these crossings to allow light goods to be moved from one platform to another. Not for use by the public. Enough boards for a single or double track.